One of the things that amazes me about my life is how I thought that I understood the essential issues facing the world, but I was wrong. Few people are further left of center than am I. Additionally, when I realize some mistake that I have made regarding social movements and politics, I’ll change my Weltanschauung (worldview) immediately and move further to the left. Another change in me, which occurred in the last decade, has been my two dances with death. Fortunately, I danced better than death and am alive and well. In reality, doing the dance caused me to come alive, even though I thought that I was already alive and working to make this world a better place. My teasing continued for well over a decade. Today, she sees it as Papa just teasing her, and we laugh at my comment. However, I was serious about Ayanna being the best person that she could be. My humor about dissing women forced Ayanna, during the early years, to think about her abilities vis-à-vis boys her age. It is a cute story of a granddaughter and her grandfather, but it was an essential learning tool. I’m glad that we bantered back and forth on this issue of sexism in America years before Ayanna became aware of sexism. Having said that, my dancing with death makes me even more hyper addressing critical issues in life like sexism. Whether in teaching college students in the humanities or writing for my webpage, sexism is an issue visited quite often. 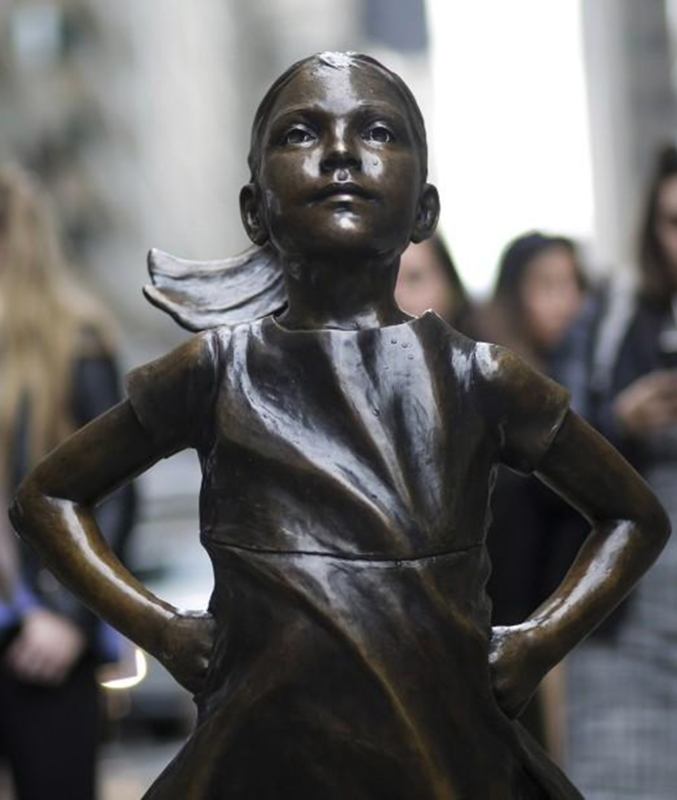 While researching something on the Internet several days ago, I just happened upon an article about a bronze statue of the Fearless Girl by Kristen Visbal. 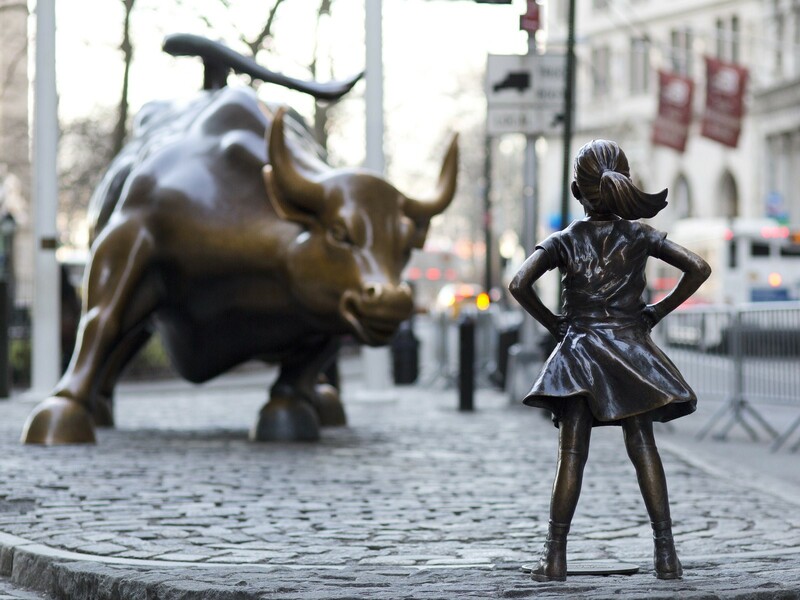 Interestingly, this Fearless Girl is starring down another bronze statue of the Charging Bull often called the Wall Street Bull. 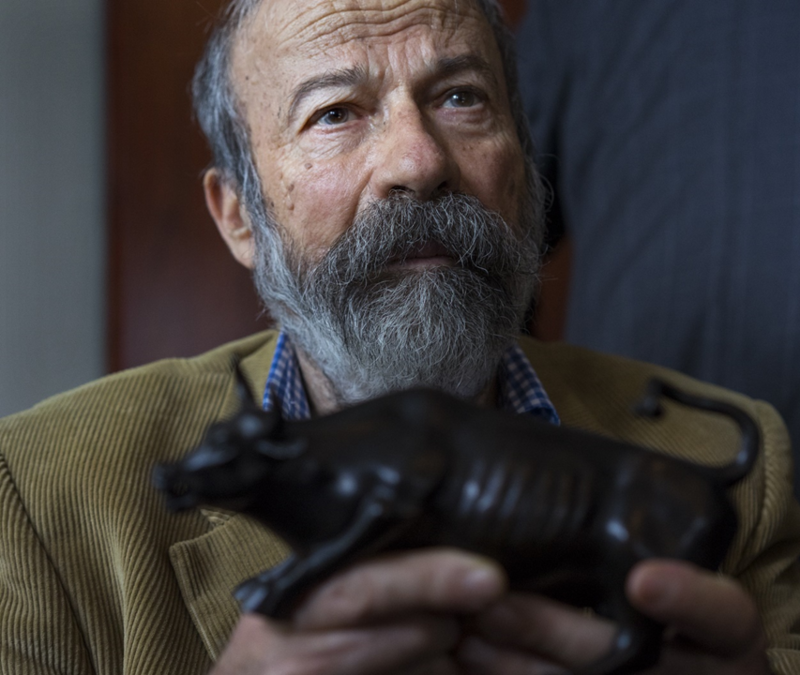 The Charging Bull was done by Arturo Di Modica in 1989. However, Arturo Di Modica is miffed at the Fearless Girl. “That is not a symbol! That's an advertising trick.” He demanded that it be moved to some other location. 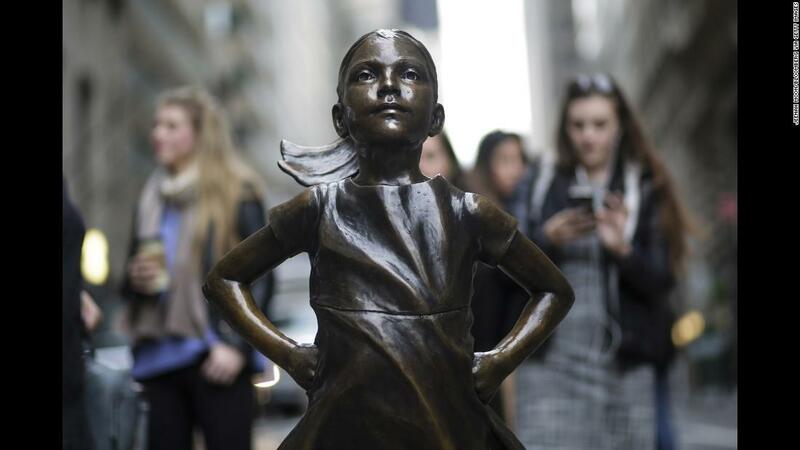 Di Modica has an attorney and is beginning the legal process to have the Fearless Girl removed. He claims that it distracts from his statue. I’ll give him that; it does. It runs counter to his and many men’s notion of male superiority and being macho. 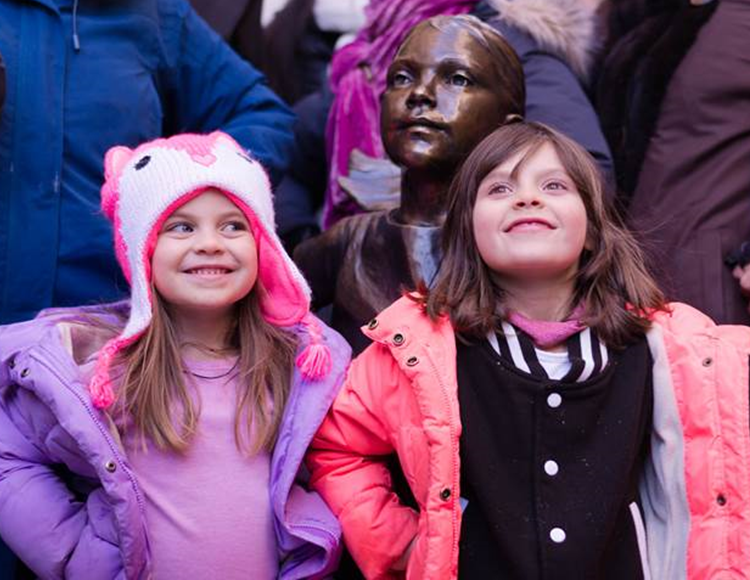 Additionally, Di Modica not only disses the Fearless Girl as “an advertising trick,” but his statue is “a symbol of prosperity.” He insists that the Fearless Girl be moved away from his statue. Ironically, his statue he put up next to the New York Stock Exchange’s Christmas tree and did so with permission or a permit. However, being a male artist, he wants his way even though what he is upset about is something that he had done himself nearly three decades ago. Visbal isn’t removing her Fearless Girl, and adds, “The world changes and we are now running with this bull.” As I read Visbal’s comment, my mind went back in the 60s during the civil rights movement. Essentially, Bob Dylan told America the same thing, The Times They Are a Changin’. 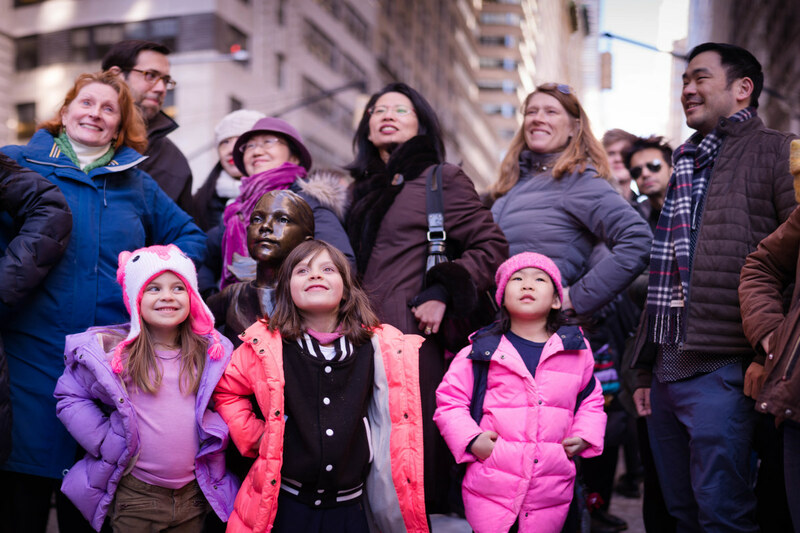 Mayor Bill de Blasio said, “Men who don't like women taking up space are exactly why we need the Fearless Girl” in New York City. As this confab works its way through the courts, women are learning something and using the Fearless Girl as a role model. In the above photo, two young girls learned a critical lesson about life, and I hope they don’t forget it.